You may have created an Opportunity, or maybe you have just been added by someone else. As this Opportunity becomes closer to closing, help may be needed on the Opportunity or maybe you just want to add someone to watch. To do so you will add team members as a resource. 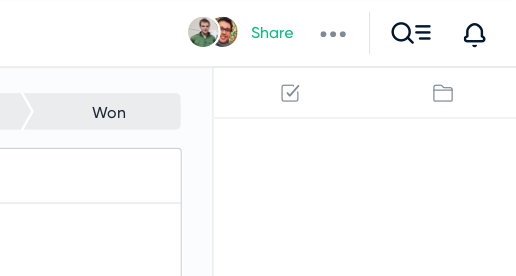 To add a member as a resource, first click the share link in the upper right navigation when in an Opportunity, Quote, or Project. 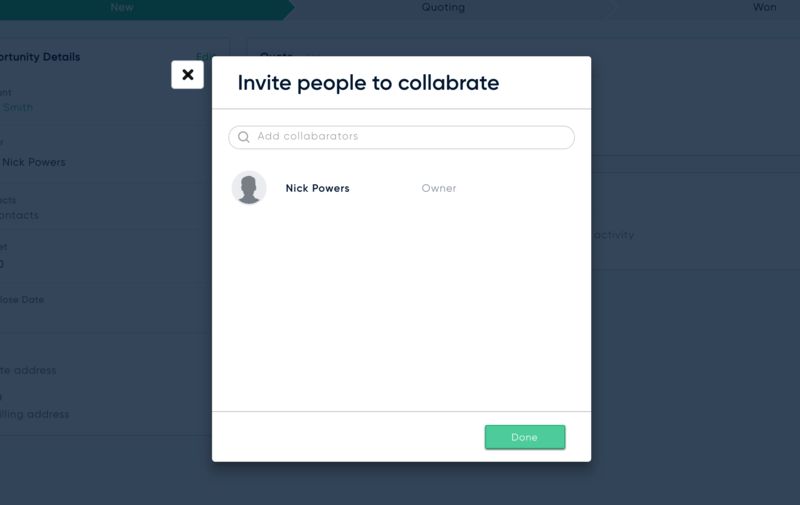 This will open up a modal to invite people to collaborate. This is all internal people, so clients won't see this. You may just see yourself as the only collaborator, or you may see many people if others have been invited already. 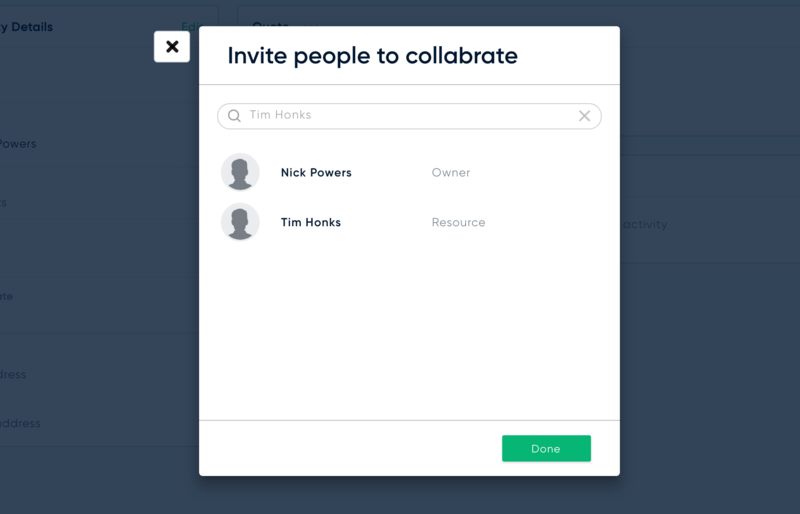 Add the collaborator by clicking the search area and typing the user you are looking to add as a resource. 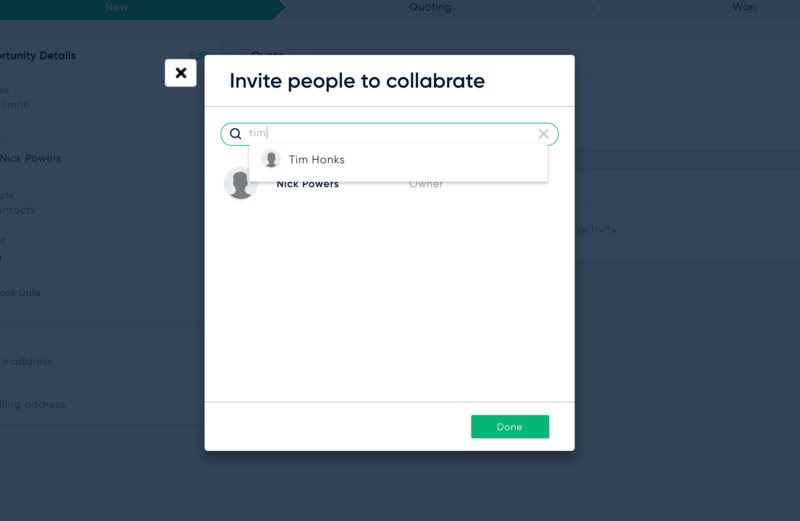 You will then see the user you added show up in the list of collaborators and you can click done to have that resource added. You will then see the 2 people who are on this opportunity by the avitars in the top navigation of the Opportunity, Quote, or Project. 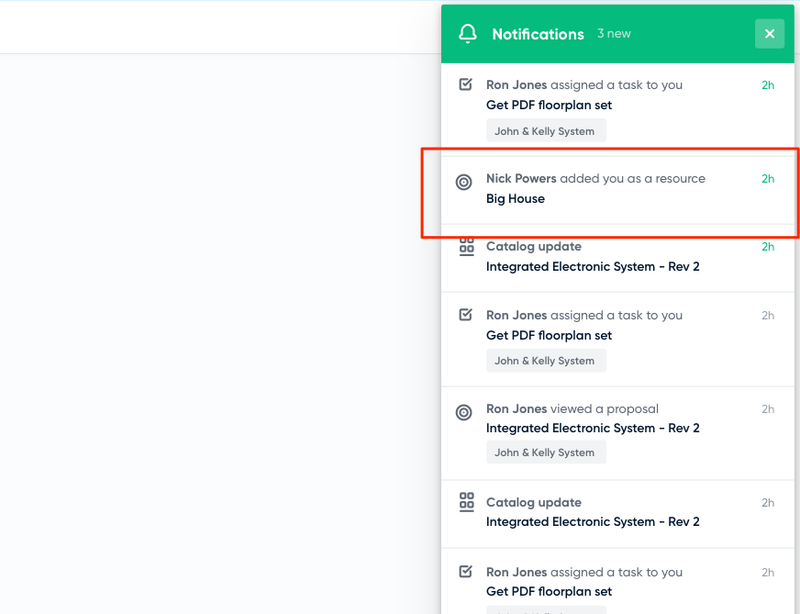 When a user is added to an Opportunity, they will receive a notification that they have been added as a resource.